Finally, fiber you’ll actually look forward to eating. Choose from eight fresh-from-the oven flavors! It's true! You can get the fiber you need, constipation relief, and it will taste pretty darn d'Lish! Constipation relief starts with the right types of fiber. 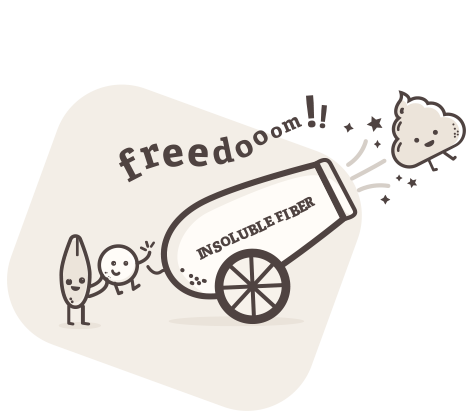 Yup, two types of fiber – soluble and insoluble. Your body needs both types of fiber to keep its pipes flowing without getting clogged. The crazy thing is that most bars or high-fiber foods only have soluble fiber. Fiber d’Lish gives you both. Eat one bar every day and hydrate for immediate constipation relief! How does it work? 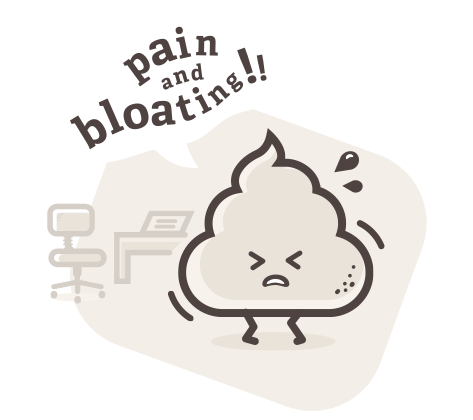 Our added insoluble fiber gives your poo the bulk it needs (without the bloat) to scrub your intestines squeaky clean. This helps to activate the muscles in your digestive track to contract, giving you the relief you’ve been looking for. Just add water to activate that fiber! 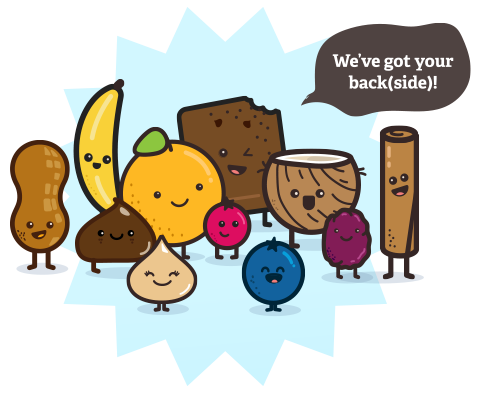 Meet your flavorful relief team! Who said doing your business can’t come with a little pleasure? Indulge in your daily dose of fiber in eight robust, soft-baked flavors. Because, let’s be honest, you’re not going to eat your fiber if it doesn’t taste great. Our flavor crew is composed of real, wholesome ingredients that’ll help you get through any roadblocks your day throws your way. All natural ingredients. No artificial additives. Fiber d’Lish awakens your tastebuds by using seeds, whole grains, and natural fruit juices — you can count on us to never use any artificial additives. 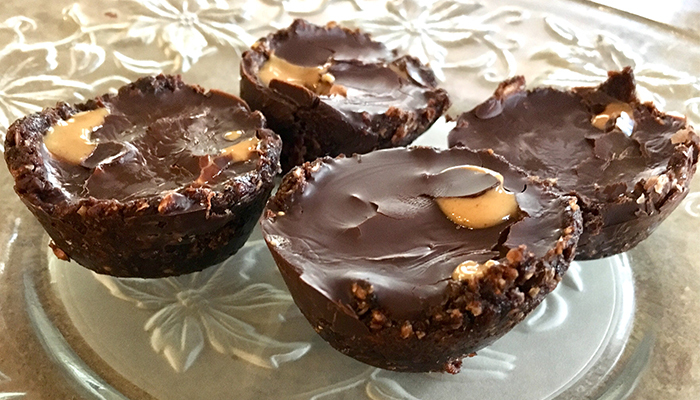 Many fiber bars are formulated with processed fiber that is stripped of its most beneficial qualities and loaded with added sugar and artificial sweeteners — not ours. Get 30 (or more) bars in any flavor delivered to your doorstep each month. Now that's a sweet deal! Learn More About Club Cancel anytime – no obligations, or fees.